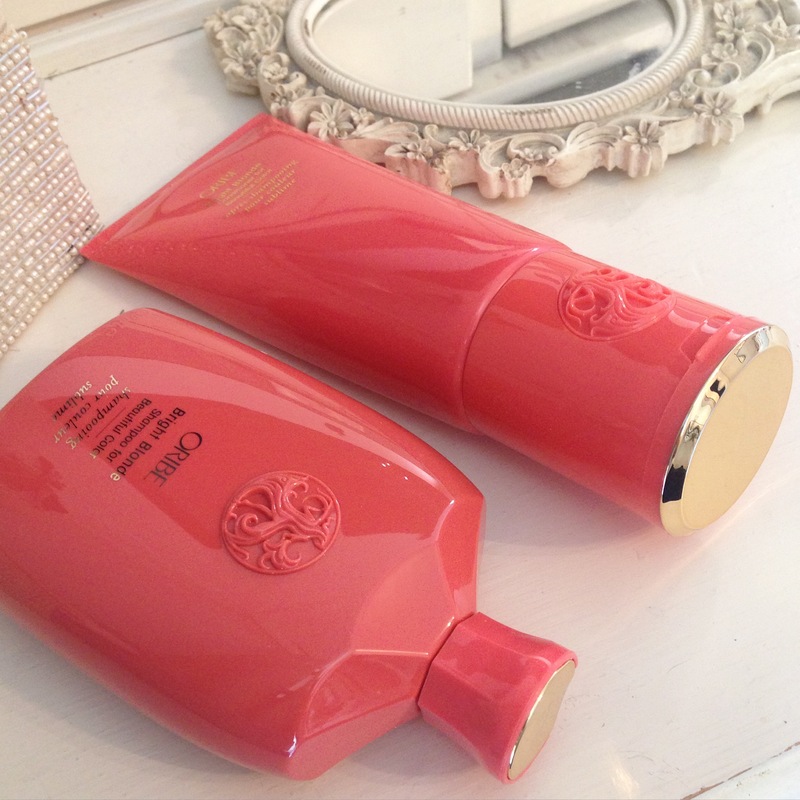 Oribe’s Bright Blonde Shampoo and Conditioner for Beautiful Colour do exactly what they say they will do. The packaging is their iconic bottles (designed by Versace) and the smell of these violet hue products are of course Oribe’s signature scent “Côte D’azur” which you can buy as a hair perfume aerosol or as an Eau De Parfum to wear on your skin. This shampoo and conditioner has the same performance as their amazing Beautiful Colour range but with added violet pigments to cancel out yellow or brassy tones to blonde/grey or brunette hair restoring it to it’s most brilliant self. Of course it is free of sulphates, parabens, sodium chloride, gluten and animal testing. After using theses my hair is instantly hydrated and sparkly bright blonde. I tend to use occasionaly however, you can use as your regular shampoo.conditioner as they contain clever technology that prevents pigmentation build up. What have you tried or fallen in love with from Oribe?